Churches and other religious organizations have evolved to the point that managing them now requires more than just a church leader calling the shots. As these entities grew, so did the processes involved in running them. Simple tasks that used to be accomplished by a single individual have become more complex that such is no longer the case. It is for this reason that automation of these processes became the norm of modern day religious groups, which lead to the development of church management software. This tool has proved to be an invaluable means of automating church processes such as common management, administrative, and reporting tasks. This system streamlines everyday church processes, encourages collaboration and facilitate communication. Available both as comprehensive and standalone platforms, such software can prove to be beneficial to any size of church. It is very useful in managing membership and mailings, events, fundraising, and report generation. It can also facilitate cost reduction and is able to track congregation growth. With all these benefits, it is prudent to ask how should one choose such a software? To accomplish this, one should come up with a shortlist of candidate software to be evaluated. From there, you may opt to avail of free trials to get a full picture of the tool’s features and functionalities. Many vendors provide free trials and these are usually the best ones out in the market. Another thing you can do is determine if the solution is targeted at organizations your size. Many software of these type may be fit for small churches, hence, carrying with them limited features. However, for medium and large churches, more advanced systems may be called for. These solutions offer additional features that include accounting and reporting capabilities. They can also monitor spending and automate giving and offer fixed asset tracking, payroll and taxes. It is worth noting that one very important area the software facilitates is electronic giving which provides members, sponsors, and contributors online giving options to their church or nonprofit organization. The statistics below show that smaller churches are lagging in this area, a process which otherwise can be streamlined and automated by a good church management solution. Still, for megachurches, which may have memberships of more than 2,000, systems that provide a single database, which can be accessed from any device are highly recommended. Such solution can help leaders track and report from anywhere to manage church programs and events. It can also facilitate communication among volunteers and members. 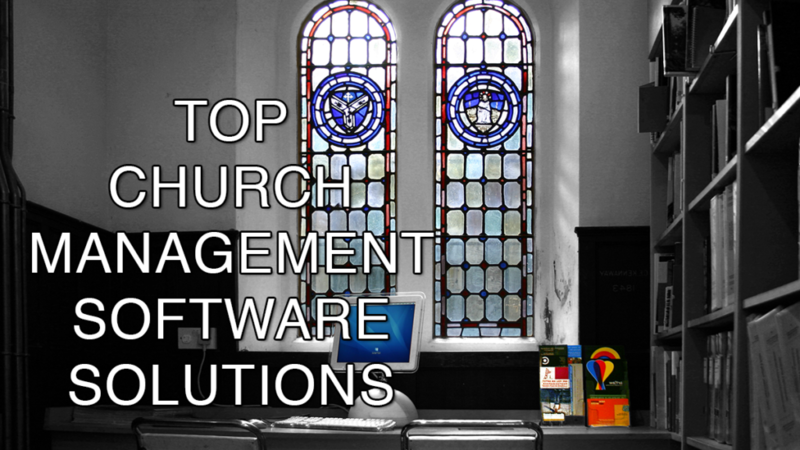 More and more religious organizations have been adopting church management software. In fact, the global market for such solution is expected to grow to at a CAGR of 9% through 2021. An increased demand from countries such as Singapore, the Philippines, South Korea and Australia is seen to drive this growth. What are the 21 best church management software solutions of 2019? Driving participation and inspiring generosity is the mission of Pushpay, an online church management solution that harnesses technology to fuel engagement in your church and community, get more people involved in the causes you care about, and help you save time and money. Pushpay gives you many advantages: it is a comprehensive mobile engagement platform; it is scalable and can be used by organizations of all sizes; it gives you access to an easy-to-navigate and comprehensible dashboard; and offers enterprise-grade security to protect your church from fraud and payment problems. You can check its features closely when you sign up for a Pushpay free demo here. Relied upon by over 7,000 organizations around the globe including nonprofits and ministries, Pushpay is built to help you promote your cause effectively and efficiently with the use of today’s technology. It comes with features such as ministry management, digital giving, event management, financial tracking, analytics and reporting, multi-site administration, branding, and media management, among others. It integrates with other services and software and partners with other organizations to provide you tools and solutions for world-class giving and engagement. It even has open API tools so you can extend the capabilities of the platform according to the unique needs of your organization. Pushpay offers extensive customer support through phone, help center, FAQs, app tutorials, implementation coaching, and administrative assistance. The software is available in three pricing plans – Core, Advanced, and Complete – which are all quote-based as they are tailored for the specific needs of an organization. Customer success managers are also included in each subscription plan to help you optimize the use of the software and all its tools and capabilities. Designed to help churches using web-based solutions manage everyday processes, Planning Center is currently the most popular church management software out in the market. It is highly suitable for growing religious organizations, giving them tools to handle the complexities they are currently facing. It comes with integrated applications that cover tasks such as check ins, giving, groups, people, registrations and resources and services. It likewise has a Music Stand application for both Android and iOS devices, which gives churches a single place to store their sheet music and allows them to play audio.  Now, among these functionalities, there are two that stand out. Planning Center’s Giving app allows accurate and quick accounting of cash and checks, while making it easier for donors to give through the Internet. The Group Management tool, on the other hand, makes for easier group listing and signup and helps in attendance tracking. It keeps members constantly in the know when it comes to important announcements. The solution’s pricing comes in the form of a percentage fee derived from the amount of each donation. A total church management software, FellowshipOne is made up of three solutions–a church management solution, a church accounting software and a church online giving platform. It is designed to manage growing congregations and religious groups with 1,000 attendees and 10 employees and is capable of hosting up to six users. The solution can streamline churches’ administrative tasks. Equipped with powerful tools and an impressive database, FellowshipOne modular management has features that cover memberships, donations, events and programs. It can manage mass messaging and background checks to improve communication and security in churches. An accounting tool, on the other hand, enables users to manage ledger, accounts payable/receivable and payroll and purchasing. A notable feature of the software is the its online giving feature, enabling users to manage donations and contributions. With this capability, users can create online giving pages and customizable funds, basically automating the whole giving and donation management processes. The solution is priced at $179/month, depending of the number of accounts and members to be managed. A church media software service, EasyWorship helps ministers come up with creative presentations for use in sermons, messages and other church activities. The software has powerful tools, including fonts, themes and presentation slides, which can remarkably improve church presentations. The solution enables users to have more control over graphic features like text outlines, shadows and transparency, among others. Being a user-friendly piece of software, EasyWorship allows church leaders and staff to come up with professional-looking media. The interface can be easily navigated, requiring only a few clicks to access needed tools at any time. Collaboration among users is also facilitated through the sharing of data within a local network, giving relevant staff access to needed files. But administration control ensures that not all users can readily view and retrieve files under permission control. easyTithe is a powerful and flexible online giving platform that makes church giving a lot more easier for both donors and churches. The tool significantly improves giving by providing church members with different payment options. It also addresses recurring giving, avoiding repeats of the process every time. The real unique thing about the platform is that it is flexible and customizable, allowing for the creation of portals to reflect users’ individual brands. Such is very useful in providing givers with richer customer experience. As for security, all transactions are done over secure servers and the tool meets all banking regulations owing to its PCI and DSS compliance. easyTithe’s is highly-scalable, allowing the software to grow as the congregation does. Its capability to support multiple campuses enables users to group donations and pledges for different projects. The software can provide access to unlimited number of staff, volunteers and even members. A church management solution designed to help churches grow, ChurchTrac Online can improve communication and organize church teams and ministries. Key functionalities include membership management, attendance reporting/tracking, donation and pledge and contribution management, among others. The software’s church membership administration feature is limited to an organization’s active members. It records and organizes data as it accommodates visitors and prospective members. This feature can group both members and non-members in the form of customized Smart Lists, which can be configured, with new lists added if needed. The solution’s financial management tool, on the other hand, can create, manage and track church financial tasks such as payroll, budget and church accounts. It has the ability to import transaction details and print W2 reports. With this feature, churches’ can track fund disbursements and know where funds are released to. ChurchTrac can likewise monitor member attendance, not only during mass or service but special events as well, with important dates recorded and disseminated to members. Attendance reports can be generated and printed also, a very helpful feature in terms of monitoring attendance trends. Pro Church Tools is an online church management tool that offers churches the chance to attain new management skills with the use of free tools, courses, podcasts and other web content. Using the software, religious organizations can find new ways by which to engage their congregations, especially the youth. Such can be achieved by using storytelling techniques that require videos, social media, email marketing and other media. ACS Church is a church management solution that comes with accounting functionalities. It is consist of a number of tools, which are useful in handling information on member participation and contributions. Its accounting tools are designed to monitor nonprofit organizations’ finances, helping churches focus on growth by streamlining workflow processes. As the platform keeps leaders and members in constant communication at all times, congregation engagement is facilitated. This can increase member attendance while helping churches reach out to non-members and prospects. The tool is customizable and its modular nature is suitable for just about any church budget and goals. Aside from these, the software’s cloud-based deployment makes it accessible to any user at any given time, a very useful feature for members who do missionary work. A web-based church management platform, Church Community Builder is designed to boost church communication. It can greatly contribute to church-community engagement and member assimilation and retention by providing coaching solutions. A myriad of tools allows the solution to aid church leaders in managing members and focus on growing the congregation. Apart from streamlining church processes, the product integrates seamlessly with business applications, boosting processes like donation, financial and attendance management. It likewise has church metrics, which provides users with real time data, on which to base key decisions that are aligned with organization goals. A children’s check-in tool, meanwhile, helps in managing children attendance at Sunday school. The software can also help in organizing volunteers with its volunteer scheduling feature. Churchteams is a church management application designed to help religious organizations manage operations and other key processes such as membership, attendance and donation management. Users have total control over information anytime, anywhere as the software can be accessed through mobile devices. With the platform, users can organize members into teams, delegate tasks and schedule programs and events. Its integrated tools provide accounting capabilities, enabling users to manage church finances. Giving is automated as the product has an Online Giving module, which allows members to make donations online. This feature can remarkably improve offerings by as much as 50%. It also serves as a payment portal for event registrations. Tithe.ly is a church giving management solution designed to encourage congregations to be more generous, while improving member engagement. The software provides religious organization with their own customized church app, which can enhance the process of donation and pledging through the use of digital technology, which include text messaging, online portals and kiosks. The platform promotes church transparency by giving them the ability to generate invoices and statements of accounts. After every transaction, automatically generated email confirmations are sent to donors who themselves can track gift giving using the solution. They can likewise access giving history, enabling them to see how much they have donated to the organization. Security is notable as every transaction is kept secure with the use of cloud transfer technology, which eliminates the need for account and routing numbers. This feature both simplifies and secures the giving process. Flocknoteis a church communication management software that can enhance communication with church members. It has the ability to collect member contact information, facilitate contact and listen to what members think. Basically, the solution keeps church members, groups, leaders and other key church personnel in constant contact while being able to respond to communication problems. The platform has a wide array of features, including text, email messaging, content sharing and contact importing, among many others. Flocknote showcases a plethora of features, which include text and email messaging, content sharing and contact importing, among others. It even eliminates the need for additional software like mobile apps and social networking solutions. However, what stands out among solution’s features is its ability to send unlimited text and email messages, allowing users to constantly communicate with members. The software is easy to use with an easy to navigate dashboard, where users can write a note or add a member. This feature enables users to send email or text messages to all members at the same time. Such emails can be sent with attached files, inserted videos or images or even a poll. Email delivery schedules can be set, with copies of their drafts saved for future use. Elvanto is a cloud-based church management tool that is targeted at religious groups of any size. It aids churches in managing administrative and pastoral activities, member engagement and financial processes. Using the solution, church leaders can significantly enhance worship affairs and events. As the software helps in church management, pastors are given the chance to better focus on growing their congregations. It enables users to capture and store member contact information, create church groups and organize them for volunteer work. To improve church-member relations, the tool helps ministers to enhance connection with members. The platform has reporting tools that enable users to monitor church and event attendance and other metrics. These can likewise be used in the creation of member engagement strategies. A companion app, meanwhile, is provided to volunteers, enabling them to check on church activities and also respond to invitations. The giving process is made simple with Elvanto’s integration with several online giving platforms. With this feature, givers are allowed to schedule their donations, while making the giving process more transparet. Donations can be tracked, keeping donors informed of the status of their giving. A web-based church management software, Breeze caters to small and medium size churches. Its interactive interface enables users to access member information, facilitate communication, monitor giving and manage volunteers, among other functionalities. Contact information can be categorized into members, guests, volunteers and staff. The tool enables users to track donations from both members and guests. With this feature, donor contributions can be monitored, with reports generated based on a donor’s giving history. Customization features allows users to update custom fields and import data as well. Breeze also has an event management module for use in member attendance tracking and generation of reports. It has the capability to print name tags for attendees during events and analyze event attendance. As for the communication functionality, the software enables volunteers to send event details to both individuals and groups using bulk emails and SMS. Other notable features of the product include contribution reports, integration with QuickBooks and MailChimp and restriction of access. Cloud-based church management software Seraphim is designed to cater to churches, para-churches and ministries, regardless of their size. It is a total solution that offers membership management, check-in functionalities, ministry planning, donation management and reporting capabilities. The platform’s membership management feature enables churches to come up with group networks for their members. Member attendance can also be logged, and workflows for assigning members to outreach teams effectively managed. An event management capability allows church leaders to handle online registration, check-ins and asset and room reservations. Both public and private events can also be managed using the system. Website management is also a notable feature, it comes with a calendar scheduler, which allows members to join church events. The product can seamlessly integrate with known email marketing tools like Constant Contact and BombBomb, which provide for easy management of member outreach programs and email campaigns. As for its accounting functionality, the product has integrations with applications such as QuickBooks and Sage 50. A church member and volunteer management suite, Servant Keeper is designed for midsize to large churches and other religious organizations. It allows churches to determine member skills, monitor attendance or communicate with members using email. Information from new members such as last names, addresses and phone numbers are automatically collected and stored in a single database. Such data can be edited to point out differences in family data, when necessary. The software is highly customizable to meet churches’ specific needs. Visitors are automatically excluded from member-only marketing collateral like emails, and mailings. If for some reason they need to be included in such lists, status can be changed from visitor to member. A church management solution, IconCMO is aimed at helping church and religious organization leaders better manage their membership, communication, giving, accounting and volunteers among other tasks. It is a complete solution that can effectively slash church management automation costs. The software is highly-suitable for organizations of any size. The platform has built-in modules that include membership management and contributions modules. A fund accounting module makes it a fully functional accounting solution, while keeping churches and members in constant communication. The solution’s accounting module is one of its most notable features, This feature encourages FASB (Financial Accounting Standards Board) compliance, specifically when it comes to FASB reporting. It enables users to generate invoices, pay bills, manage checkbooks and create funds, among others. The module supports both cash and accrual-based accounting, depending on what an organization uses. For transactions that require cash accounting, the software makes the process easier. IconCMO’s access and security feature provides users with a username and password for them to be able to access an online directory. This functionality ensures the safety of member information, which can be reviewed online. These could be printed, doing away with the hassles of mailing. A powerful and user-friendly church management software, WebChurch WCC-Lite has a wide array of features that enable religious organizations to efficiently manage their daily tasks. The solution can be customized in accordance with an organization’s needs as it supports mobile devices. Using the software, churches can improve member engagement and manage members, which can result in congregation growth. It can increase donations by recurring online giving and can easily integrate with a church’s website. The church database is made of up different modules such as members, donations, communications, assimilation, services, ministries and members’ portals. WebChurch WCC-Lite has native Android and iOS apps, making it accessible to people on the go. The software’s members module can come up with profiles containing complete member information and makes it easier to pull out attendance records. The donations module, on the other hand, handles monitoring and management of giving and pledges. Tracking of donations is done automatically, allowing users to search for specific donations and payment options, among others. A multimedia platform designed to create excellent church presentations, ZionWorx is popular for its ease of use. It offers high-quality audio and video playback capabilities, including live and background inputs that feature text overlay. It can seamlessly integrate with a number of third-party apps, including BibleGateway.com and Microsoft Powerpoint. The solution allows users to package an entire presentation into a single file, facilitating easy transfer. The product is useful in helping praise and worship by being able to easily import songs from other worship presentation platforms. It gives users the ability to use any audio, video or image file, without the need for additional software. Its powerful theme engine showcases several controllable content that provide full control over presentations. In addition, text properties can be customized for every single song display, along with stunning graphics. The software’s visual song arrangement module enables users to drag-and-drop marked song arrangements. Pre-fabricated arrangements for songs can easily be added and playlists can be transferred to another computer with ease. An easy-to-use church and membership management solution, Church Helpmate and Realm helps churches in managing administration, accounting and community tasks all from a single platform. Membership management is achieved by enabling organizations to better communication using email, text messaging and phone. Attendance management is a breeze, offering member tracking features that give real time data on visitor timing. The product is also very helpful in tasks such as baptisms and is known to encourage member fellowship. Ad-on apps like a barcode scanner and a check reader further extend the platform’s functionalities and can be accessed from both Windows and Mac machines. Church Helpmate and Realm integrates seamlessly with accounting solutions such as QuickBooks. As it is cloud-based, the platform can be accessed from any mobile device. In terms of giving, it helps monitor pledge campaigns and contributions while maintaining a members and household information database. It is ideal for use by religious organizations of any size. By the Book Roll Call is built to help ministries better manage and organize their flock. All member information is stored on a singular database not just for recording the contact information of your congregation, but also for more efficient communications, attendance processing, and attendance tracking, among others. This church management platform also comes equipped with tools for tracking of contributions, alignment with IRS guidelines, reporting, built-in communication features, and more. By the Book Roll Call enables ministers to forego spreadsheet-based processes and keep all member information in-sync, benefitting them with reduced instances of duplicate information and inaccuracies. Moreover, finding each contact is a piece of cake, as you will no longer have to open multiple spreadsheets to find specific members. With the platform having built-in communication tools, such as emailing, texting, mail merging letters, and others, you can expedite your communications with ease. Aside from helping ministers manage their congregation, Roll Call is beneficial to congregation members as well. The platform allows members to utilize an online web portal to log in and manage their profile and monitor their contribution statements. It also comes equipped with a check-in system as well, allowing ministries to monitor each and every individual entering the area for security purposes. So there you have it, the top 21 church management software as we see them. Each has its own unique features and benefits to offer, but one is definitely right for your organization.